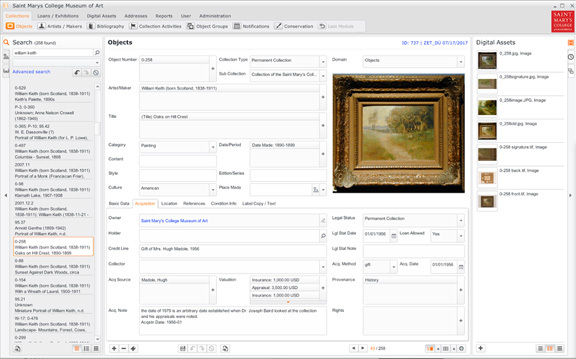 The Museum of Art is currently implementing a new database system for our permanent collection. Please enjoy these images of the project's progress. You can follow the project through our website and social media announcements. Thank you for your support of the Saint Mary's College Museum of Art. 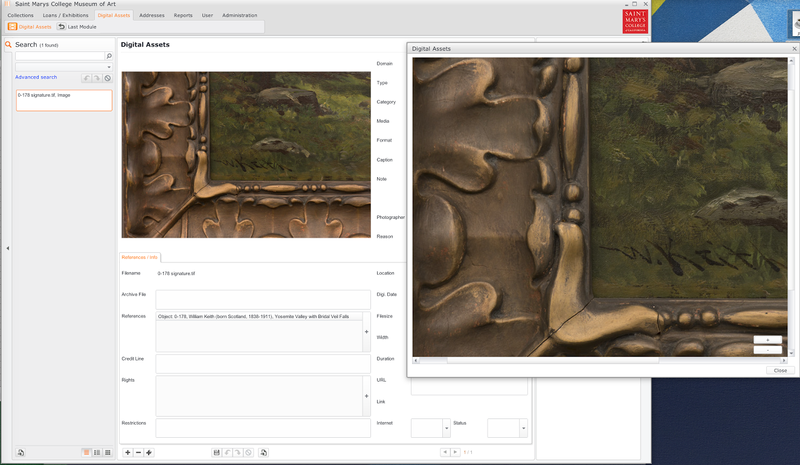 The Museum of Art is working with renowned Zetcom, and their platform Museum Plus, to update the Museum’s collection infrastructure. Swiss-based Zetcom serves over nine hundred institutions in over thirty countries. Its museum partners include the Musee du Louvre in Paris, the Nationalmuseum in Stockholm, and the Antikensammlung in Berlin. Phase I of the Museum of Art Permanent Collection database is complete. The Museum of Art organized and exported 4,500 records to a new internal database. This database is now serving the museum staff. Phase II is currently in progress and includes designing an interface for public use. The public will be able to search the collection, view multiple high-resolution images per work, and conduct research through object files and exhibition records.